Although the Marvel Cinematic Universe has featured a variety of villains to pit against its heroes, they have been overwhelmingly male with little female representation over on the dark side. Maya Hansen worked against Tony Stark in Iron Man 3 until her change of heart earned her a bullet to the chest, Nebula assisted Ronan in Guardians of the Galaxy, and Scarlet Witch proved to be a dangerous foe in Avengers: Age of Ultron until she joined Earth’s Mightiest Heroes. Fortunately, the MCU’s TV offerings have provided more opportunities to feature women in evil roles (next year will see Madame Masque and Elektra introduced on Agent Carter and Daredevil, respectively), and the movies may be going in the same direction in the near future. A rumor hit last week that Thor: Ragnarok may feature a female character as the main antagonist. We provided some candidates on who this mystery villain could be, but why stop with the Thor movies? 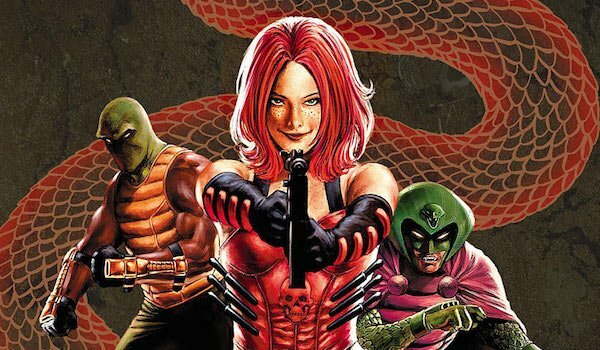 There are plenty of female antagonists from the decades that would make worthy additions to the collection of rogues this franchise has already introduced. Not all of them are necessarily lead bad girl material, but they’re worthy enough to give the various heroes a lot of trouble on the big screen. Karla Sofen grew up as the daughter of a butler to a rich family, and following her father’s death, her mother worked three jobs to put her through college. Determined not to turn out like her mother, she became a psychologist, but even that proved disappointing to her, so she joined the criminal underworld as the aide to Doctor Faustus. After learning about the original Moonstone, she manipulated the hero into giving up the alien gem where his powers came from so she could take them for herself. 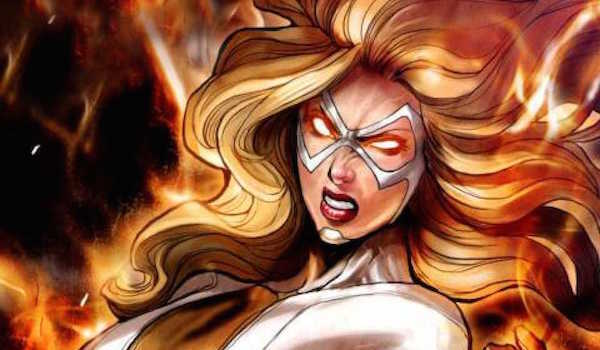 When not committing crimes on her own, Moonstone has worked with the Masters of Evil and the Thunderbolts, and during Dark Regin, she was recruited to be the "Ms. Marvel" of the Dark Avengers. Moonstone isn’t tied down to one specific superhero, so she could easily be featured in any upcoming movie featuring a powerful protagonist. However, given how similar her abilities are to Carol Danvers’ and their history, it would be cool to see them tussle in 2019’s Captain Marvel, either as arch nemeses or Moonstone being a minion sent by the main villain. 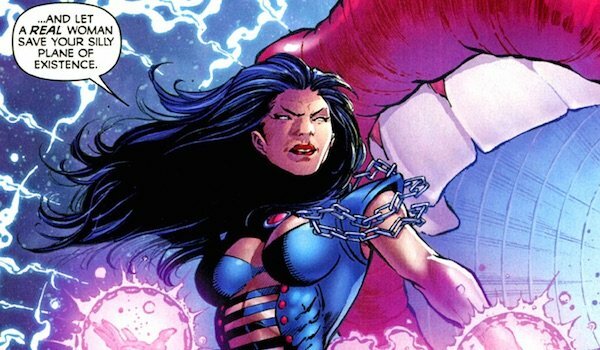 Following her defeat (yes, this is one Marvel villain that shouldn’t be killed instantly), maybe she could be recruited into the MCU’s Thunderbolts team. That’s right, there’s another woman who’s carried the Black Widow name, only she’s done more bad than good with it. 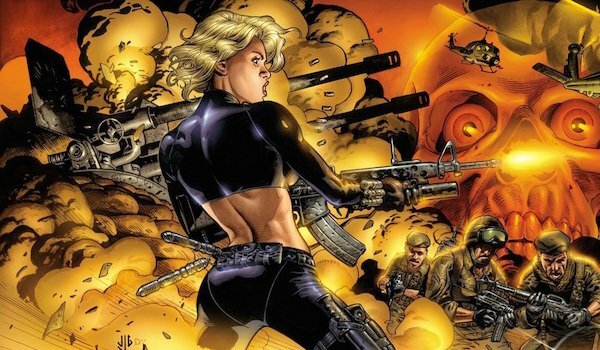 Like Natasha Romanoff, Yelena Belova was trained at Russia’s Red Room, and after she earned the program’s highest test scores, she tried to prove she was the greatest Black Widow. Fortunately Natasha (who at this point had defected) was able to set her straight…at least at the time. After several years as a businesswoman, Yelena was recruited back to the world of spying by S.H.I.E.LD. However, after suffering injuries during a mission, she grew to hate them and went on to work with terrorist organizations HYDRA (who genetically altered her) and A.I.M. Agent Carter briefly explored the Red Room in Season 1, but aside from that hallucination Natasha experienced in Avengers: Age of Ultron, we don’t know the specifics of what the present day program has been up to. Introducing Yelena allows this part of the MCU to be touched on, while also giving Natasha a personal nemesis of sorts. Obviously the goal would be to have this feud go down in a Black Widow solo movie, but if Marvel still isn’t keen on doing that in the next few years, then perhaps Yelena could be incorporated into a future Captain America movie or even an Avengers adventure. It wouldn’t be appropriate to call Black Cat evil, but she’s certainly given Spider-Man a lot of trouble over the years. 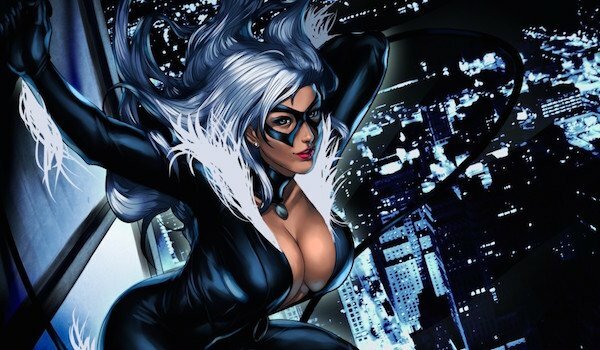 When she was a teenager, Felicia Hardy discovered that her father, who she believed was a traveling salesman, was actually a world-famous cat burglar. Following his arrest, she realized how exciting his line of "work" was, so she trained herself, adopted the Black Cat identity and made a name for herself as a thief. Originally she was just a talented acrobat and skilled fighter, but later she was given the power to "affect probability fields," or as they’re more commonly know, "bad luck powers." Although Felicia Hardy appeared in The Amazing Spider-Man 2, she was never in her costumed persona, so the MCU provides a chance to see a more faithful version of her. Much like the relationship between Batman and Catwoman, Spider-Man and Black Cat’s relationship is such where they have that romantic attraction. So while she would certainly not make life easy for the Wall-Crawler, it’s not like she would be plotting an elaborate scheme to kill him…though knowing her, she’d find a way to lovingly screw him over after their adventure together. In other words, she should be a secondary antagonist at best. It’s been speculated that Dormammu, the ruler of the Dark Dimension, will appear in Doctor Strange, so it stands to reason that the fiery demon’s sister Umar could also show up in the series. Although the siblings conquered the Dark Dimension together, the battles with that realm’s defenders weakened Umar to the point that she was forced to serve as Dormammu’s subordinate. After discovering she couldn’t return to her original form, she attacked her brother in rage, but was easily defeated and banished. When Doctor Strange defeated Dormammu during one of their first encounters, she was freed from her exile and took control of the Dark Dimension. That rule was temporary, but since then she’s troubled the Sorcerer Supreme and his allies on her own many times. Besides being an unpredictable threat to Doctor Strange, Umar also paves the way for her daughter Clea, arguably Strange’s greatest love interest, to be introduced. Umar has used her daughter as a hostage before to lure Strange into her traps, and conversely, Clea has teamed up with Strange to defeat her mother and knock her off the throne. If Doctor Strange 2 gets greenlit, featuring Umar (and possibly Dormammu) as the main antagonist would be an excellent way to pair Strange and Clea together in the MCU, assuming Rachel McAdams’ character in Doctor Strange doesn’t make it out alive. When Sinthea "Sin" Schmidt was born, her father, The Red Skull, tried to kill her because she wasn’t the son he wanted, but one of his subordinates Mother Night convinced him to keep her alive. Sin was then aged to adulthood, given psionic powers and became Mother Superior, the leader of the Sisters of Sin. Her time as an adult was short lived, as later she was aged to a teenager and rid of her abilities. S.H.I.E.L.D. eventually captured her and brainwashed her into believing she was a normal teenager, but Crossbones found her and wiped the programming, bringing her back to her life of terror. During a fight with Bucky Barnes (as Captain America), Sin’s face was scarred by an explosion, and now she has the trademark Schmidt red visage. Given that the MCU’s Red Skull hasn't shown up in the present, one would imagine Sin’s birth would have to be achieved a different way, like her being grown in a lab from his genetic material. Following that, the movies could either give her the psionic powers or just make her the gun-toting terrorist leader of the Serpent Squad, but either way, she would have to be just as formidable as her old man and give Captain America (be it Steve Rogers or someone else) all kinds of hell.